Waterloo Region house prices one year after the tax are even with the numbers from last spring. 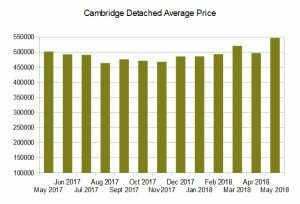 However on a city by city basis Waterloo and Kitchener prices are down slightly compared to May 2017 while Cambridge is sharply higher. Regardless the overall trend in valuation has been upward over the last year. In all three cities prices are considerably higher than the lows seen in the last half of 2017. 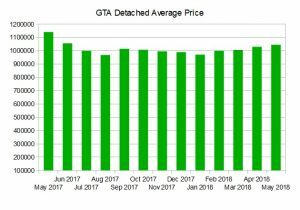 Perhaps unsurprisingly our market mirrors the activity seen in the GTA, albeit with lower prices and a stronger recovery. The GTA saw the same sharp falloff in prices after the introduction of the foreign buyers tax. Both markets saw a reduction in volume in combination with a recovery in prices that gained momentum this spring. 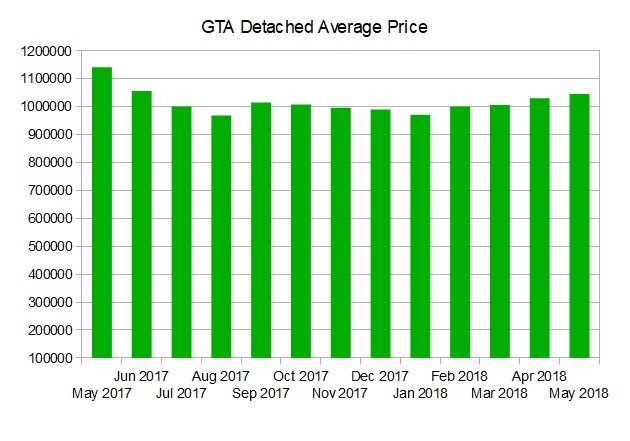 Despite the strong recovery here and the more muted one in the GTA it’s unlikely we’ll return to the market conditions of last spring any time soon. There are several factors at play preventing a steep run up in prices. Rising interest rates, the mortgage stress test and modest wage growth are three factors that undermine affordability. This limits the number of people entering the market and also moderates the activity of owners wishing to move up the property ladder. These factors are the only thing keeping a check on demand and thus prices. 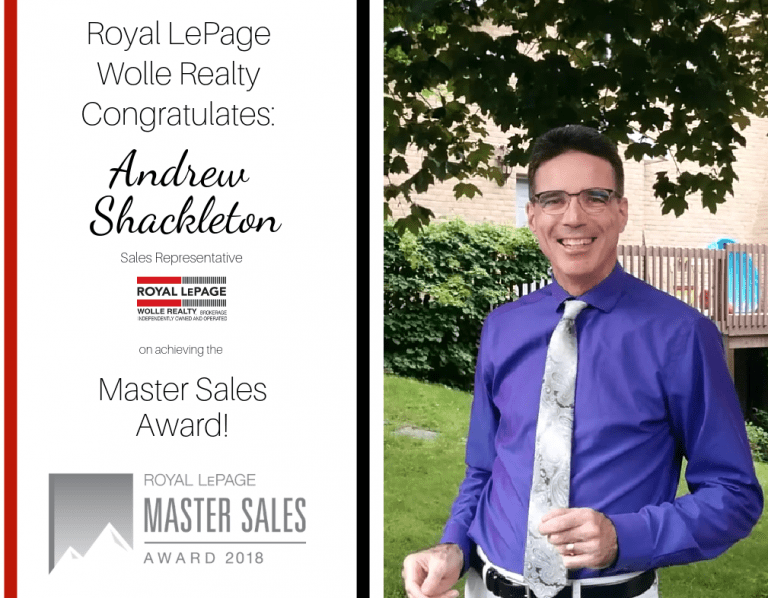 Barring a major recession or a black swan event on the world stage there is little reason to predict lower prices in Waterloo Region any time soon. Waterloo Region house prices one year after the tax are doing very well indeed. We are still strongly in a sellers’ market. Available housing stock in Waterloo Region sits at two thirds of the 10 year average. Unemployment is low with immigration to the GTA continuing unabated. Locally we’ve certainly seen an uptick in activity from buyers unable to afford the GTA’s high prices. 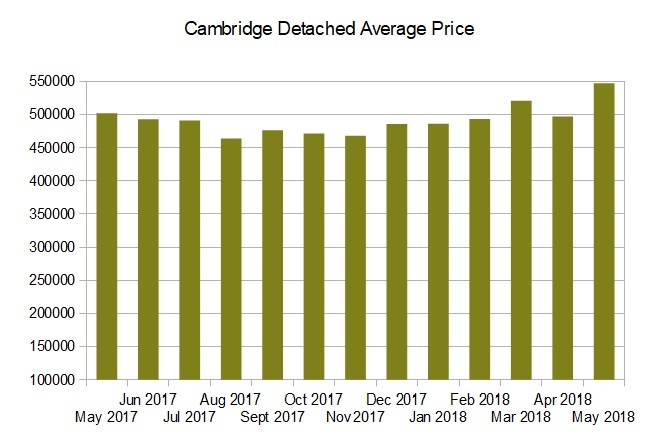 This last point would certainly explain the big uptick in Cambridge prices last month. 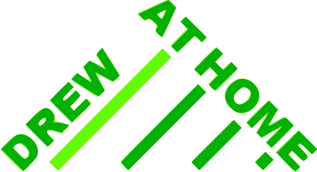 For city data see my house price pages.